Earlier today, three B-17s and five P-51s flew over the USAF Museum in Dayton as festivities get underway for the unveiling of the historic B-17F “Memphis Belle” on Thursday. 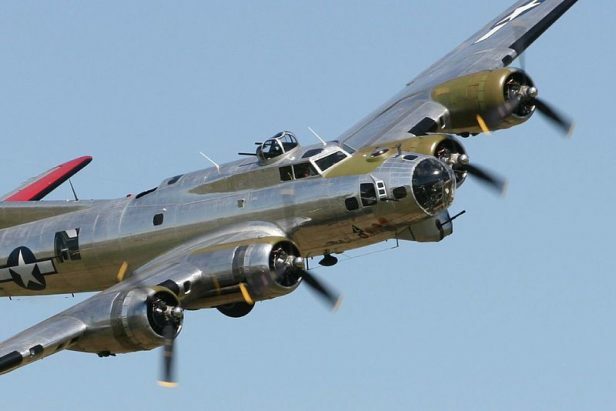 The aircraft, which included B-17Gs “Yankee Lady” and “Aluminum Overcast” and B-17G/F “Movie Memphis Belle,” were prevented from landing at the museum due to weather conditions and instead performed as mass flyover which can be seen in the videos below. As previously reported, the main focus of the three-day celebratory event (May 17-19, 2018) will be the debut of the newly restored Memphis Belle in the museum’s WW2 gallery. In addition, more than 160 WW2 reenactors are expected as well as historic vehicles, memorabilia and artifact displays, music from the era, guest speakers, book signings and films. 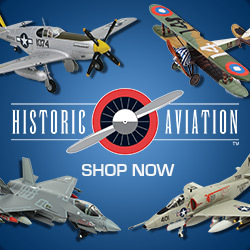 As for the aircraft expected to visit for the event, they will reportedly fly in museum airspace throughout the remainder of the day as weather permits. A weather call will then be made each morning to determine whether they will land or not. You've already seen the view from the ground of this morning's flyover for the "Memphis Belle" exhibit opening at the National Museum of the U.S. Air Force. Now check out the view from "Aluminum Overcast," EAA's B-17! After some weather this morning, the flyover for the Memphis Belle exhibit opening at the National Museum of the U.S. Air Force was a beautiful sight! B-17s Aluminum Overcast, Yankee Lady, and the movie Belle, along with a handful of P-51’s, were in formation this morning. We’re excited to be here to see the unveiling this week! For a complete schedule of indoor and outdoor events, click here.